Here are this week’s Lancashire listings of who has been in court and what for. DAMON Holding, 20, of Arcon Road, Coppull, was banned from the road for six months after admitting a string of motoring offences. It follows an incident with a red Toyota Yaris on January 20, Chorley magistrates heard. He admits driving without due care and attention, three counts of driving without insurance or a licence, driving without an MOT and failing to stop for police. He must pay a £240 fine, a £20 surcharge and £85 costs. PRESTON: Lynn Clapham, 45, of Berwick Road, Preston, has been ordered to pay £150 compensation after Preston Magistrates’ Court found her guilty of assaulting two women in the city in February. She had denied the offences at her trial but was convicted of both assaults. She was also ordered to pay £300 costs by the bench. CARNFORTH: Wesley Parris Pradhan-Irving, 19, of Hawk Street, Carnforth, is to be sentenced at Lancaster Magistrates’ Court today after admitting charges of possessing a knife in public, possessing a metal chain and assaulting a woman. The offences relate to an incident in April. PRESTON: Kerdine Ahmedi, 45, of no fixed abode admits sexually assaulting a woman in the city by touching her in April. He is expected to be sentenced by Preston Crown Court on June 7. LEYLAND: A man has been banned from the road for six months after admitting a string of motoring offences. Thomas Mason 23, of Robin Hey, Leyland, admits he drove on Moss Lane, Chorley, without due care and attention, without insurance and without a licence in November. He must pay a £120 fine, £20 surcharge and £85 costs. PRESTON: Laura Curzon, of Parkfield Crescent, Lea, Preston, admits assaulting a male relative and damaging his reading glasses. Preston Magistrates’ Court discharged the 26-year-old conditionally for 12 months, but ordered her to pay a £20 victim surcharge and £85 prosecution costs. LANCASTER: Reece Cartledge, 19, of Longlands Road, Lancaster, was sent to a young offender’s institute for eight weeks after admitting burgling communal flats and rifling through a post box. Michael Gardner, 33, of Richmond House, Avenham, Preston, admits damaging a GPS tag and must pay £40 compensation to police, with £85 costs. Deborah Kitchen, 51, of Halstead Road, Ribbleton, was discharged conditionally for six month after admitting possessing amphetamine, but must pay a £15 surcharge and £85 costs. Robert Marshall, 29, of The Riviera, Lostock Hall, near Preston, was discharged conditionally for six month after admitting failing to pay a taxi fare and must pay £17.50 compensation, a £15 surcharge and £40 costs. Jordan Simm, 22, of Pall Mall, Chorley, admits driving a van without due care and attention and driving without insurance and must pay a £250 fine, £25 surcharge and £85 costs. 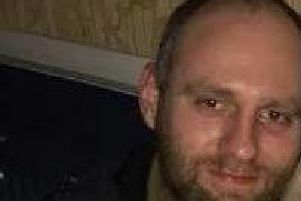 Marek Guja, 26, of Fishwick View, Preston, was discharged conditionally for 12 months after admitting being drunk and disorderly, but must pay a £20 victim surcharge. Ron West, 62, of Watkin Lane, Lostock Hall, was banned from the road for six months after he was found guilty of failing to give driver information and must pay a £660 fine, £66 surcharge and £85 costs. Rebecca Williams, 25, of Havelock Street, Preston, was found guilty of failing to give driver information and must pay a £660 fine, £66 surcharge and £85 costs. Joe Pye, 18, of Queen Street, Morecambe, admits damaging two car wing mirrors and must pay £140 compensation and an £85 victim surcharge. John Wilcock, 29, of no fixed abode, admits failing to return to approved premises after his prison release in April and must pay a £50 fine. Peet Bennet, 53, of Shackleton Road, Preston, was found guilty of failing to pay a rail fare and must pay a £440 fine, £44 surcharge, £5 compensation and £150 costs.